If you want to know how to install a keylogger on a pc then you are in the right place. The good news it does not have to be hard. 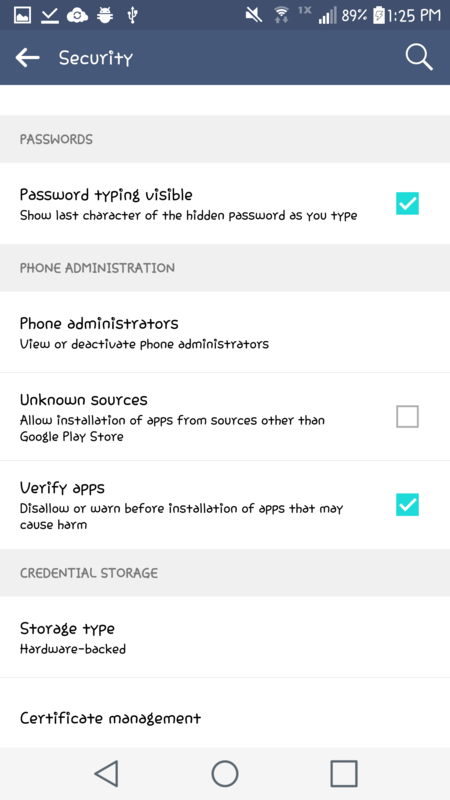 There are a lot of reasons you would need to put a keylogger on someone’s computer. Maybe you are worried or concerned about your kids. You want to know who they are talking to. You want to know about hidden social media profiles and accounts. The internet can get a dangerous place for kids. Our kids are spending more of their daily lives on it too. Maybe you are worried about your marriage. Online infidelity is at an all time high. Social media makes it easy to connect with lost boy friends and girl friends. Getting their facebook password can let you know what’s going on once and for and all. It will put your mind at easy finally knowing the truth. Be 100% invisible. Don’t get caught! 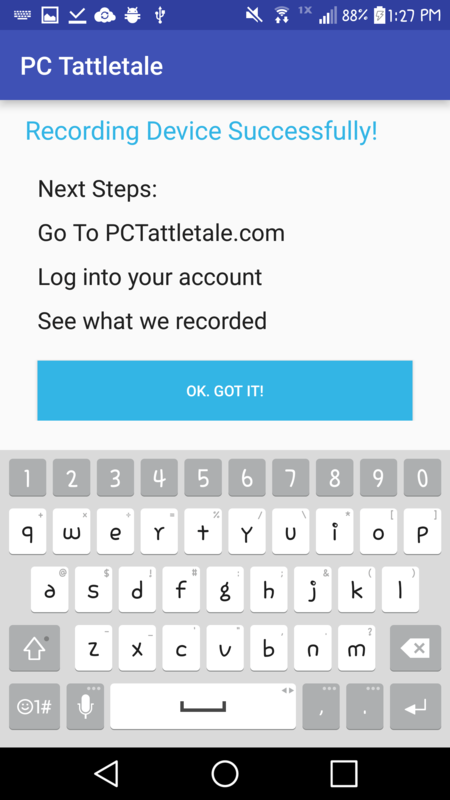 Here at PC Tattletale we have been showing people how to install a keylogger using our software for over 10 years. Other companies like Spectorsoft have decided to get out of the game. Our latest version is the best yet. 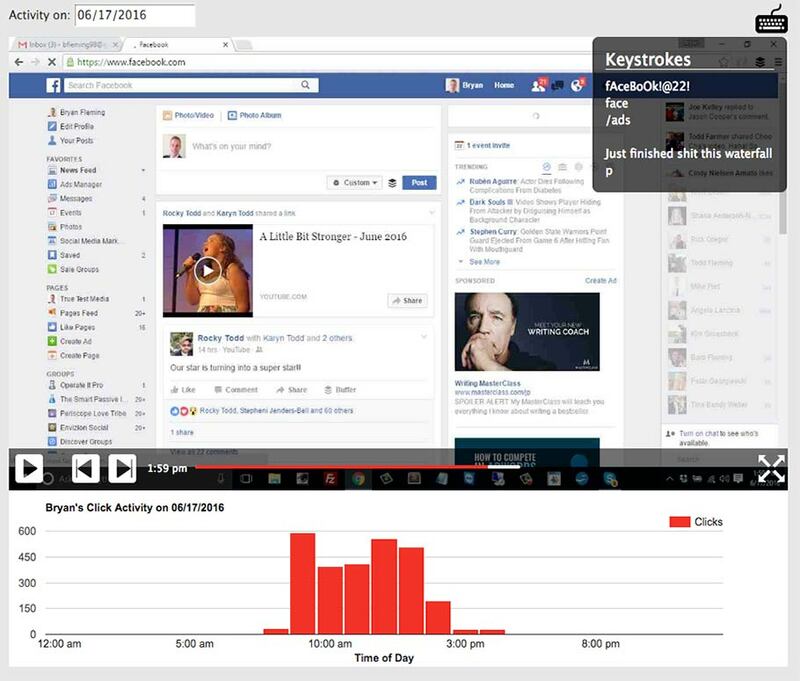 Not only does it record keystrokes but you can also view a “YouTube” like video of their every click from anywhere. Watch them from your iPhone, iPad, Android Device, or another computer. PC Tattletale is easy to put on a pc. 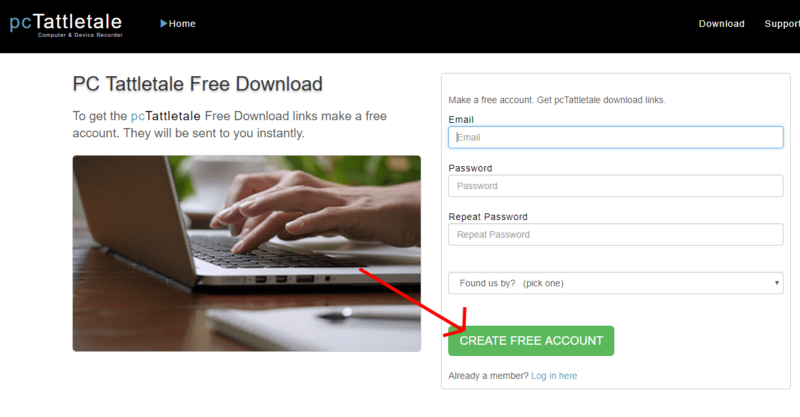 Just head on over to our download page and make a free account. You will need this when you download the app. 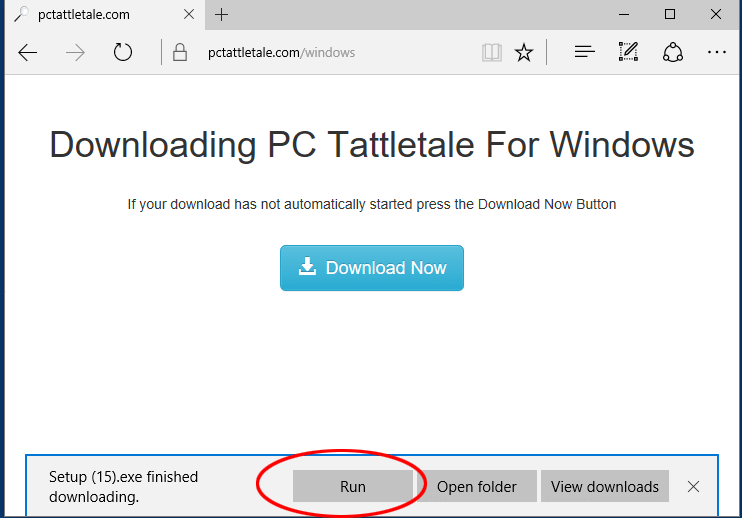 PC Tattletale will install just like any other software. The only thing you need to know is that you need to be signed into the windows PC as an admin user. 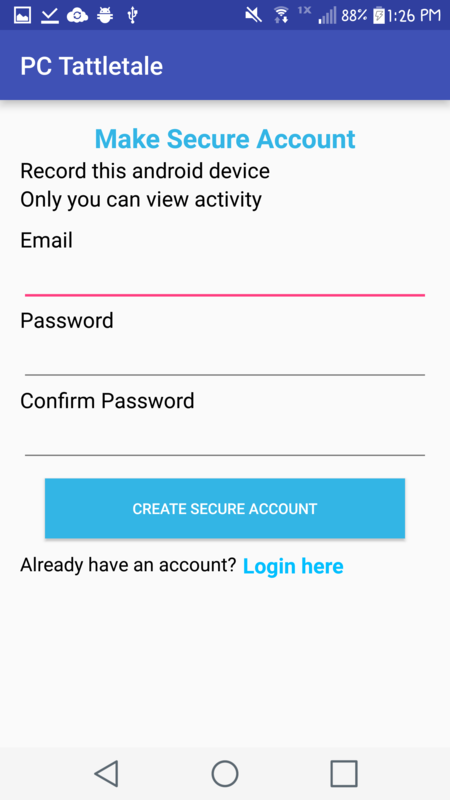 Once you put it on the PC all other users will be recorded. Press Next and finish the installation. 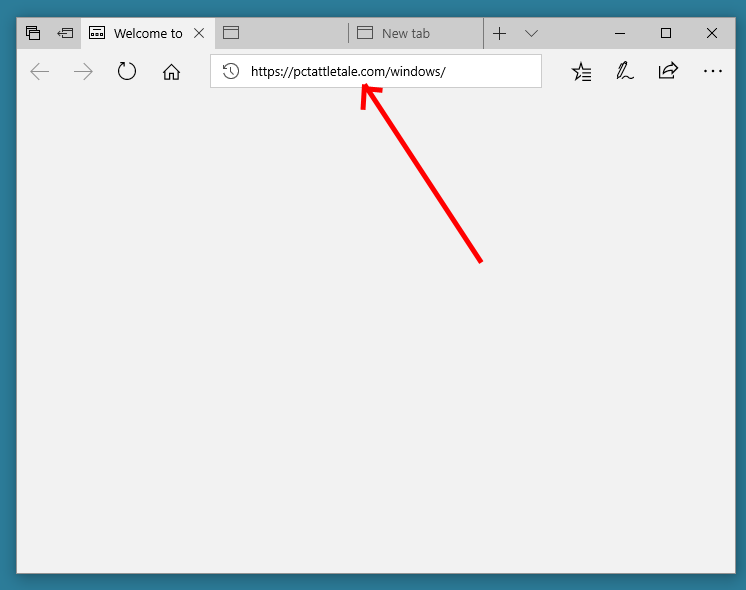 Sign into your PC Tattletale account to try it out. 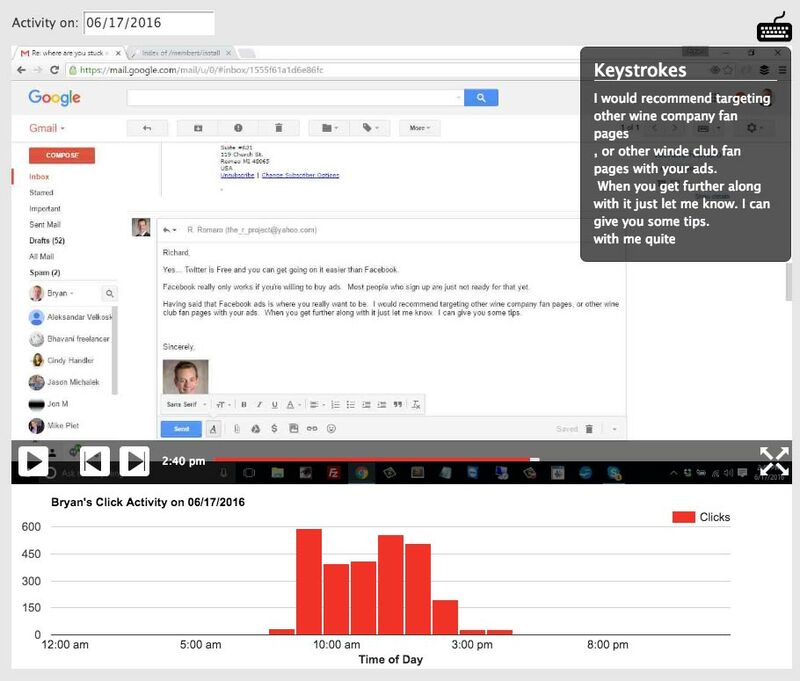 PC Tattletale uses your email and a password to make a secure account. 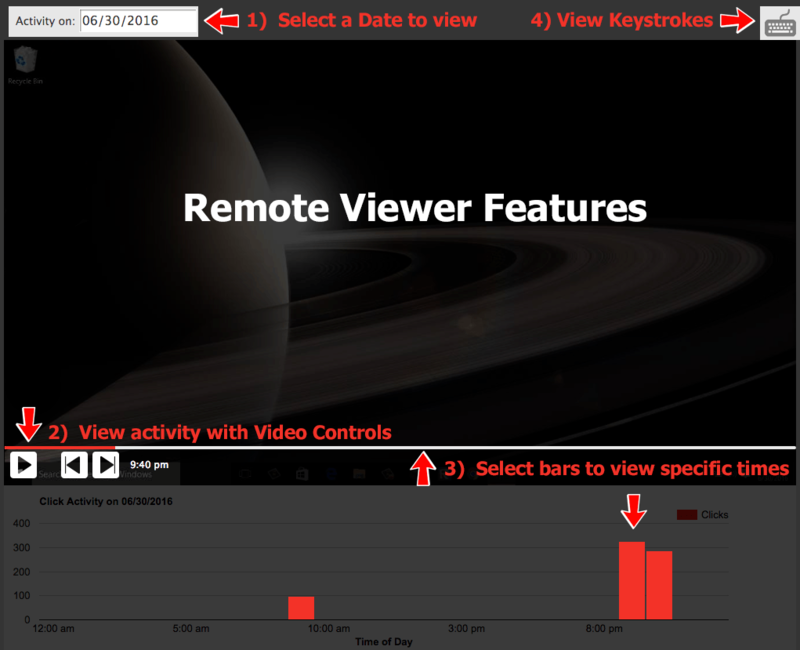 You will use this to see the keylogger data from our website. With pcTattletale you can see their activity from anywhere. Use another computer or a mobile device to see everything they do. The screen shot above shows what you would see from pcTattletale. It makes simple YouTube like videos that you watch to see their activity. Notice the click activity chart below. It shows you what times they are most active (and times they are not active). The pcTattletale video player has all the controls you would expect to see when viewing videos. You can pick the progress bar to move to a particular part of the video. Click on the chart to view what happened during that time. You can also advance the video frame by frame. 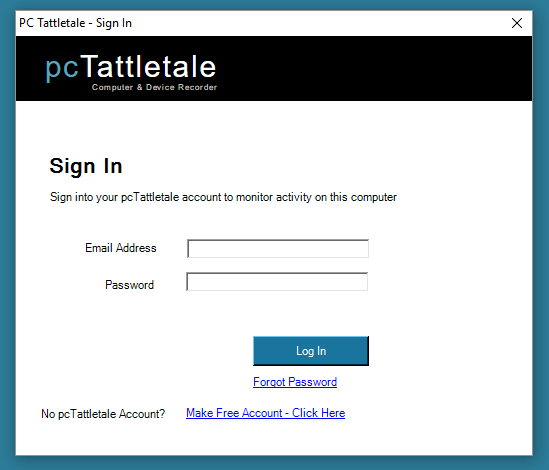 Now you can sign into your PC Tattletale account on our website. You will see a YouTube like video of everything they do. You can see them do snapchat, whatapp, skype, you name it! Use the steps above for Kindle Fire HD devices. It works the same but the screens look slightly different. 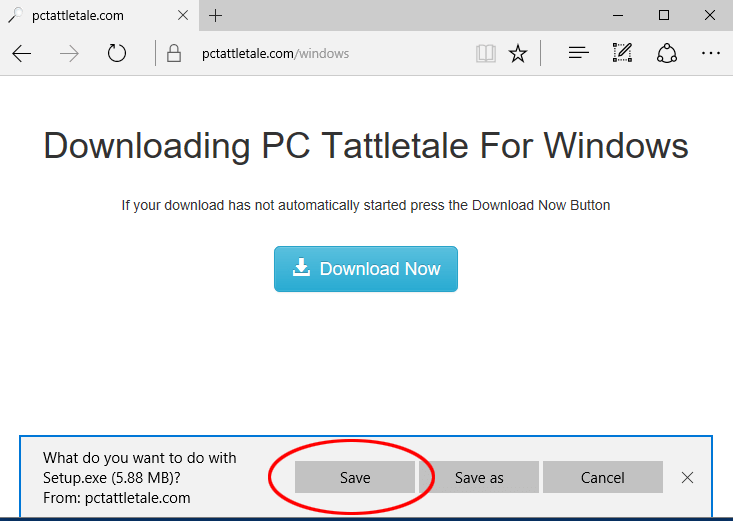 Use PC Tattletale’s advanced video abilities to beat the modern browsers, which remember a lot of information so you don’t even need to press the keys anymore. Have you noticed how your browser auto completes pretty much all the fields in any form? 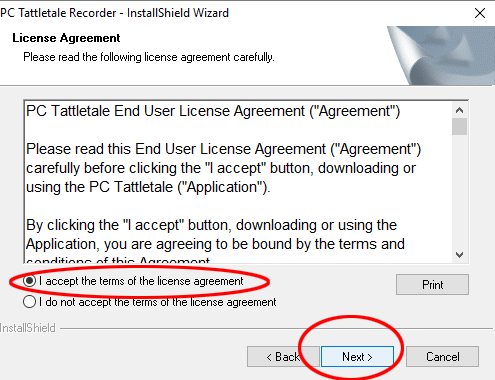 PC Tattletale is specially designed to capture even the auto-filled information that is usually not visible to other keylogger software. That’s it – done! What do you think, isn’t it easy? 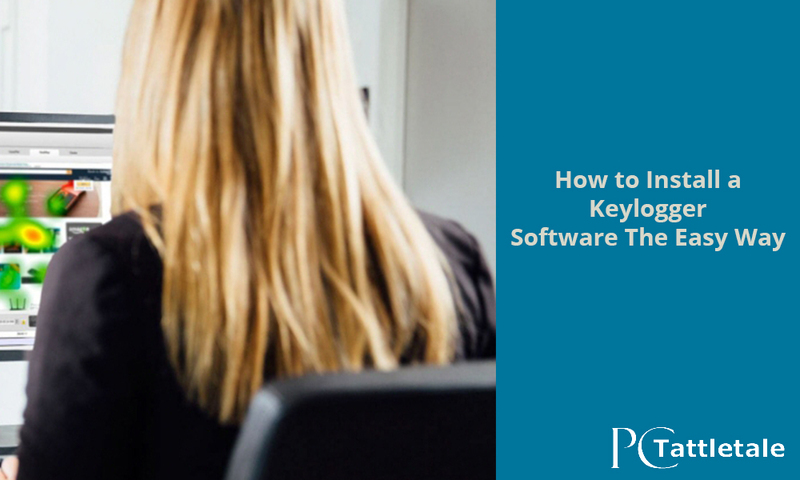 Did you ever wonder about about how to install a keylogger software? 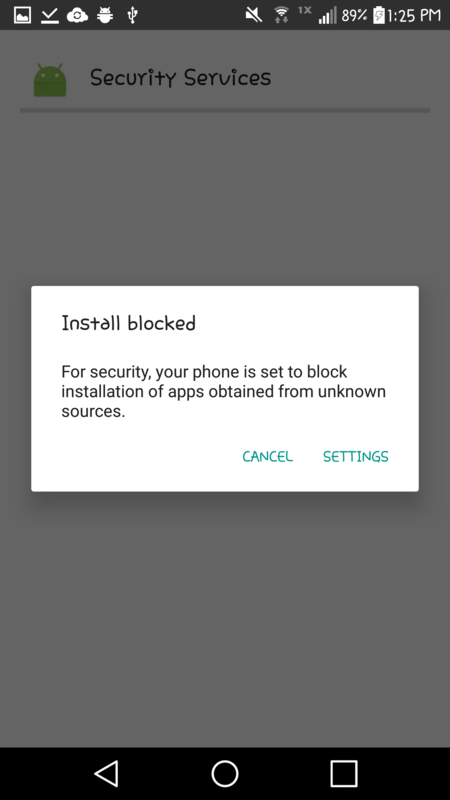 If you had any doubts that installing it requires any special computer knowledge, you should have your answer now! 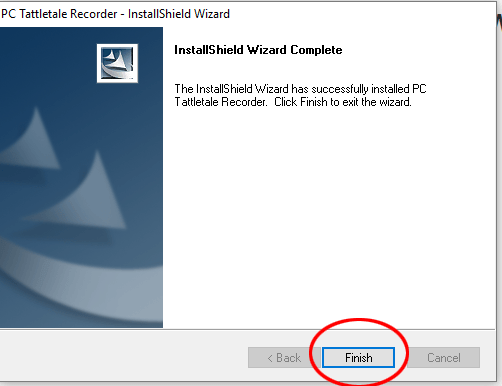 If you are looking for an effective keylogger software that is easy to install and use, then perhaps you should consider using PC Tattletale. You can download pcTattletale and try it free. 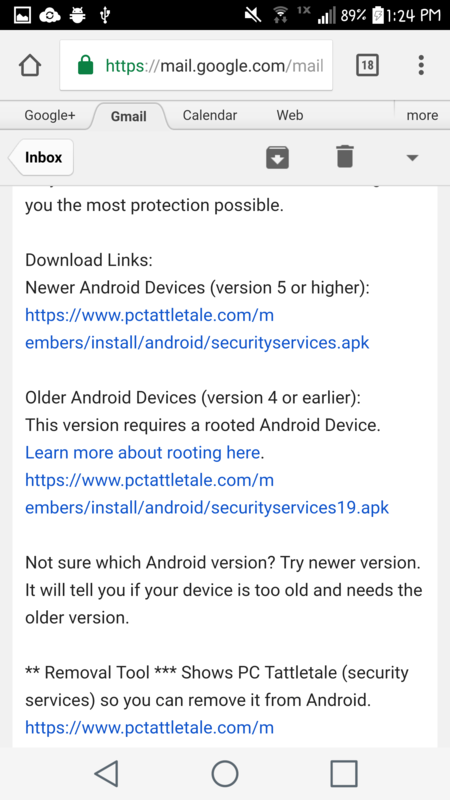 I have this on my daughters Android phone and PC. Love having both to look at.